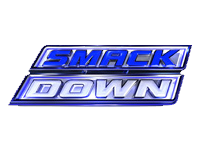 The 18th December 2012 episode of Super SmackDown! Live starts with a video recapping some of the events of the TLC Pay-Per-View (click here for our TLC report) and some of the events of Monday Night Raw (click here for our Raw report), followed by hyping the continuation of them on this episode. The Miz presents “Miz TV” to kick off the show with his guests Dolph Ziggler, AJ Lee, and Big E Langston, and in the segment it is explained that due to John Cena breaking her heart just like Daniel Bryan and CM Punk did, AJ helped Ziggler break Cena. Unfortunately for The Miz however, he ends the segment laying on the mat as Langston stands over his downed form and AJ skips around, when Dolph Ziggler takes offence to his comments towards him and AJ, and signals to Langston with a nod to take The Miz out. After an interaction backstage involving Booker T, Teddy Long, and Brad Maddox, Damien Sandow (accompanied by Cody Rhodes) takes on Sin Cara in a match which sees Sandow get the victory, when he takes advantage of the distraction provided by The Shield and hits Cara with the Terminoose for the 3-count. Afterwards, The Shield attack Cara and leave him lying in the ring with an apparent knee injury, with a referee and trainer tending to him. After a video recapping the events of Raw involving Santino Marella and Tensai, Santino Marella is pitted against Tensai in a match which sees Marella get the victory, when he avoids a running senton from Tensai and quickly covers him for the 3-count. After a video recapping the events of Raw involving CM Punk, Paul Heyman, Ric Flair, The Shield, Team Hell No, and Ryback, and an interaction backstage involving Kofi Kingston and Team Hell No, Wade Barrett and “Prime Time Players” Darren Young and Titus O’Neil go against Kofi Kingston and “Team Hell No” Kane and Daniel Bryan in a Six-Man Tag Team match. The match sees Kane get the victory for his team, when he hits Young with a chokeslam for the 3-count. After a video recapping the events of Raw involving John Cena, Dolph Ziggler, AJ Lee, and Big E Langston, and an interaction backstage involving John Cena and Sheamus, CM Punk’s music hits and he makes his way to the ring with Paul Heyman. CM Punk complains about not being chosen as the winner of the “Superstar Of The Year” Slammy Award, as well as bragging that he has been the WWE Champion for nearly four hundred days. He talks about how he will still be the WWE Champion next year and that he will not be beaten, until Ryback’s music hits and he makes his way to the ring. Ryback walks around a hopping Punk as Heyman points out that Punk is not medically cleared to compete and that Ryback knows that, but Ryback’s response is that according to doctors, Punk will be, so that is why he has his sights set on the first Monday Night Raw of 2013. He says that is when he will become the WWE Champion, and then chants “Feed Me More” along with the crowd, as CM Punk and Paul Heyman leave the ring. Now, Ryback takes on Antonio Cesaro in a match which sees Ryback get the victory, when he hits Cesaro with the Shell-Shock for the 3-count. After an interaction backstage involving AJ Lee and Kaitlyn, which turns into a fight between the two that forces them to be separated by referees, Eve Torres is pitted against Kaitlyn for the Divas Championship in a match which sees Kaitlyn get the victory but Eve retain her title, as a result of a disqualification when Eve ends up holding on to the referee’s leg and pushing him over. After an interaction backstage involving Dolph Ziggler, AJ Lee, Big E Langston, and The Big Show, and a video recapping the events on Raw involving The Big Show and Sheamus, Brad Maddox goes against “Funkasaurus” Brodus Clay (accompanied by Cameron and Naomi). The match sees Clay get the victory, when he hits Maddox with a jumping body-splash for the 3-count. Afterwards, The Shield hit the ring and attack Clay, with the attack ending after they have hit Clay with the triple powerbomb in the middle of the ring. Next up, Dolph Ziggler (accompanied by AJ Lee and Big E Langston) and The Big Show take on Sheamus and John Cena in a Tag Team match which sees Cena get the victory for his team as a result of a disqualification, when Langston enters the ring and attacks Cena in the exact same way as he did at the end of Raw. Langston stands over the downed Cena while AJ and Ziggler kiss in the ring, and she then skips around while Ziggler celebrates in the corner, as SmackDown! goes off the air.